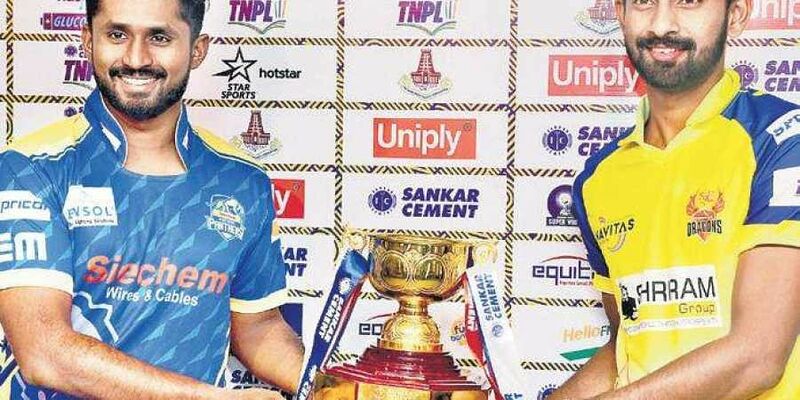 CHENNAI : Weather permitting, a cracker of a contest is on the cards when Dindigul Dragons take on Siechem Madurai Panthers in the final of the third edition of Tamil Nadu Premier League (TNPL) at the MA Chidambaram Stadium on Sunday. With no reserve day for the final, both teams are keeping their fingers crossed for a full game. A minimum of five overs must be played by both teams for a result. If that is not possible, a Super Over will decide the outcome. If that is also not possible, both teams will share the trophy. It has been a fruitful season for Madurai, who had failed to win a single game in the last two editions. Skipper D Rohit attributed their success to teamwork, and complimented KB Arun Karthik for his splendid show. “We never expected to reach the final. Karthik has been outstanding for us not only this year, but also in the last two editions. He has been a positive influence for us, both on and off the field. He will be key against Dindigul.” Karthik, who has scored nine half-centuries in TNPL, revealed to Express the secret behind his success. “T20 may be a slam-bang game, but you always need some experience. I put mine to use effectively. I also used a slight tophandle grip, improved the swing of my bat slightly, and made it a point to get to the pitch of the ball before going for the kill. Judicious shot-selection and good practice before the tournament also helped.” Dindigul coach M Venkataramana insisted that since teams didn’t have enough time to prepare before the tournament, he focussed only on players’ strengths and weaknesses.